The Eastern Massasauga rattler was once common in such states as Indiana and Illinois. Until recent years, it could still be found in Chicago's Cook County. But the reptile's range and numbers have been steadily declining. In 2016, the snake was listed as threatened under the U.S. Endangered Species Act. 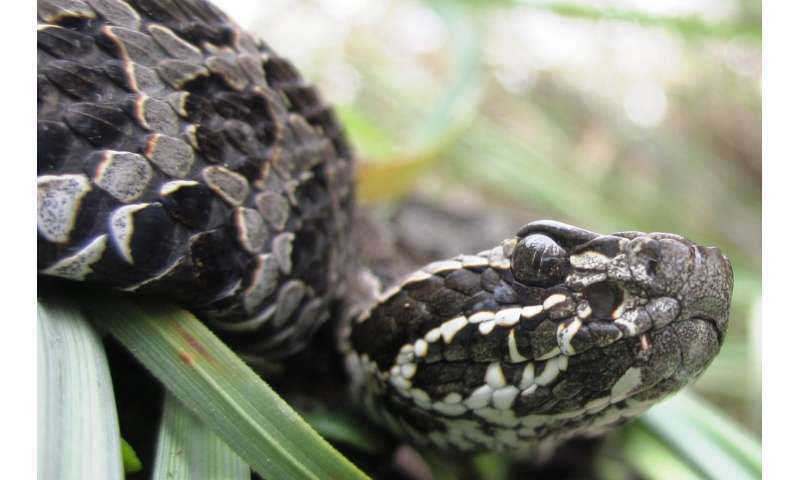 In the new study, Northern Illinois University biological sciences professor Richard King and his former student Eric Hileman examine the life history of the Eastern Massasauga, revealing important local climate impacts on the snake that should be carefully weighed when developing conservation strategies. "Our results provide evidence that climatic variation in the Great Lakes region strongly influences body size, individual growth rates and key aspects of reproduction," says Hileman, first author of the study published in PLOS ONE, a journal of the Public Library of Science. Hileman earned his Ph.D. in biological sciences from NIU in December and is now a postdoctoral fellow in biology at Trent University in Ontario, Canada. 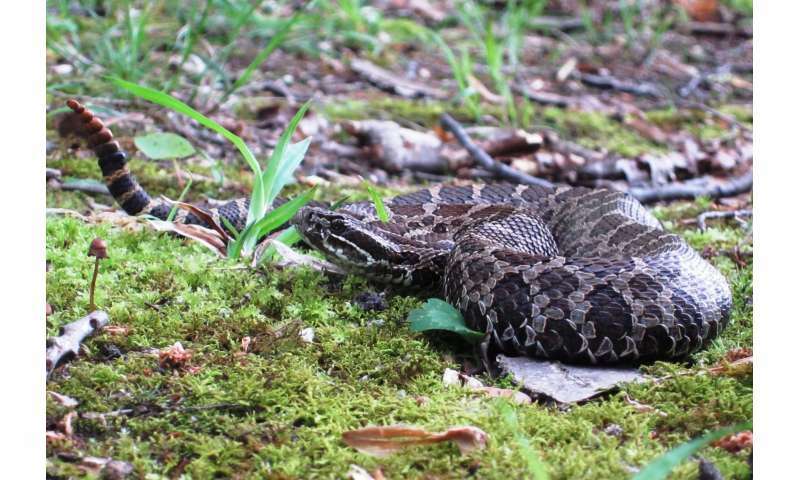 Hileman, King and more than 40 co-authors gathered and synthesized more than a century of data on the snakes from study sites across the range of the Eastern Massasauga. Most of the data was culled from studies conducted from the mid-1990s forward at sites in Illinois, Indiana, Wisconsin, Michigan, Iowa, Ohio, Pennsylvania and New York, as well as Ontario, Canada. The average body size of the snake and the size of its offspring increased with increasing mean annual precipitation, possibly because wetter climates yield greater prey abundance. "It's been rare to look within a species and show that these patterns exist," King says. "The study results demonstrate that a one-size-fits all conservation strategy is not appropriate. Rather, assessments of extinction risk and the design of management strategies need to account for geography." 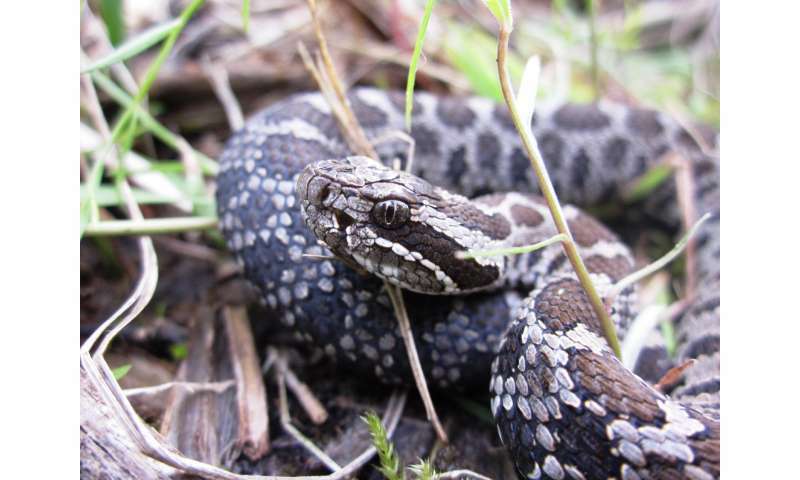 The Eastern Massasauga snakes are generally found in wet prairies or sedge meadows, where the reptiles employ a sit-and-wait strategy to catch and feed on small mammals. Adult size ranges from about 2 feet to 2 ½ feet in length. While venomous, the snakes are not particularly aggressive or dangerous to work with. "You're not likely to encounter them unless you're looking for them," King says. "It's easy to walk right by one. They're very cryptically colored to look like dead leaves and cattails, so they blend in exceedingly well." The reptiles suffered habitat loss from extensive drainage of land for agriculture and development. As recently as the 1970s, some states had bounties on the snake. With concerns over whether they would persist in the wild, the remaining snakes in Chicago's Cook County were taken into a captive breeding program in 2010, King says. "In Illinois, they've nearly blinked out entirely," he adds. "We're probably down to one location in the southern part of the state that has a stable population. They seem to have stronger holds in Michigan and southern Ontario." 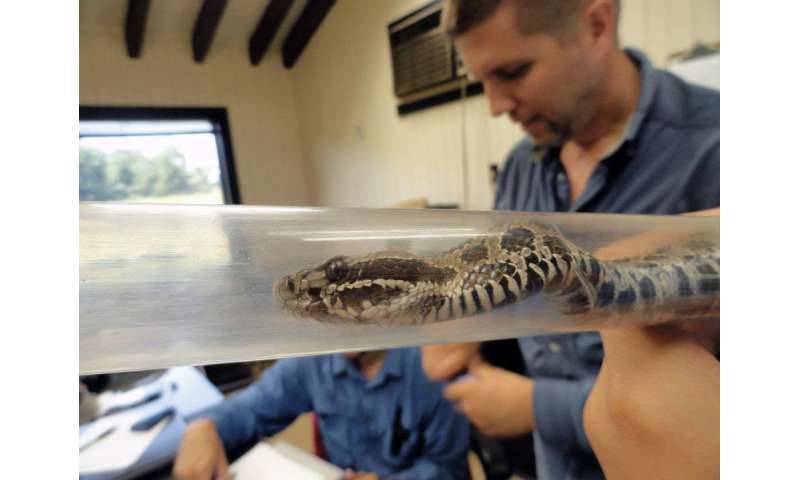 The study authors believe findings will aid Eastern Massasauga recovery efforts. "The life-history parameter estimates will be essential for improving models related to extinction risk and climate change," Hileman says. "The results from these predictive models can subsequently be used to develop site-specific management strategies."